Haven’t posted much recently on the team’s overall progress, but as you can see below, things are happening fast and looking fantastic. Lee Ferguson plowed through the pencils for 298 (the most complicated script I had at that point ever written) and he’s just crossed the halfway point on issue 299, which is a threshold made ever more impressive by the fact he also finished the wraparound cover to the glorious hardcover. 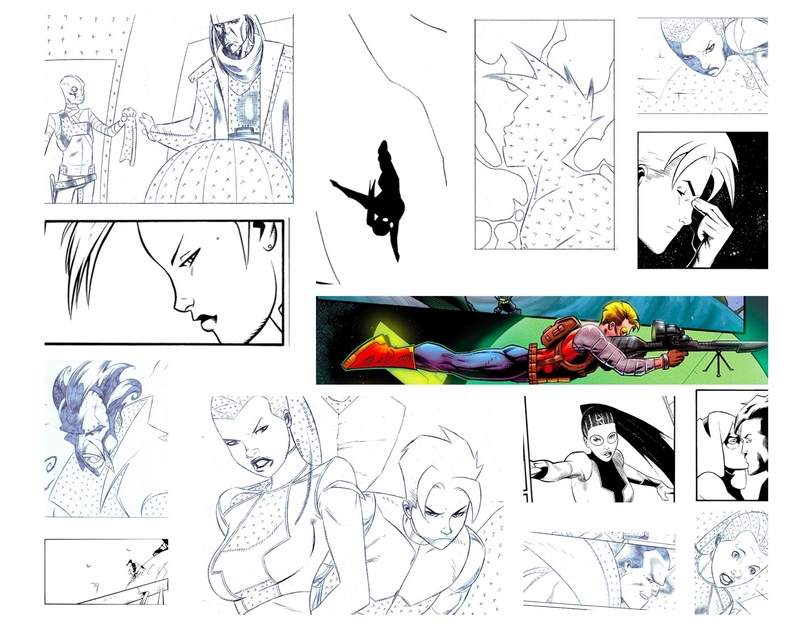 Somewhere in this fine collage of Miranda based imagery is a clip (or two) from that wonderful piece of artwork, along with non-spoilerish materials from both 298 and 299. You’ll also notice several previews of the work Marc Deering (who is only a handful of pages behind Lee) is cranking out at his own respective frantic pace. And I’ve got only about twelve pages of scripting left before the entire first mini is completed on my end—which I’ll likely be writing a bigger and somewhat reflective Ambidextrous about in the next couple weeks. Be on the lookout for that—but in the meantime, please enjoy all of the pretty pictures, and consider yourselves warned that this posting marks the beginning of a week of daily entries meant to celebrate my one year anniversary of having this blog. Thanks for the continued support, and stay tuned.